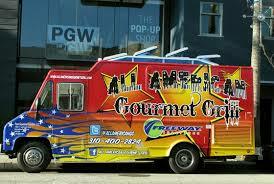 There’s no denying it: we are living in a golden age of food trucks. 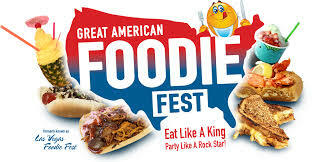 Once synonymous with sketchy, generic foods like hot dogs and chicken kebabs, over the past few years food trucks have grown evermore varied and exciting, and for the third year in a row, we’re taking a deep dive into the very best of America’s food truck scene. From grilled cheese and pizza to tacos, lobster rolls, and some of the most creative fusion dishes on the planet, these are the best food trucks in America. Operating a food truck isn’t easy. While there’s certainly lower overhead than with a traditional brick-and-mortar establishment, operators are forced to brave (mostly) outdated municipal restrictions, random (or worse, targeted) police ticketing, and the misdirected ire of insecure brick-and-mortar restaurants who often stir up trouble. 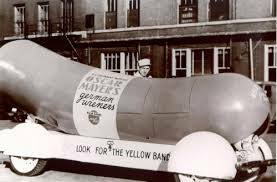 Food trucks are far from the latest food trend, but when it comes to great food made quickly (and by the “little guy”), they’re one of the best things to happen to the American culinary scene. In order to compile our ranking of America’s best food trucks, we started with the more than 450 food trucks from more than 40 cities that were considered for last year’s ranking and added 50 to the list, mostly new trucks and ones suggested by readers. We factored Twitter followers, Yelp reviews, and Yelp stars into a weighted algorithm, rounded out by an originality score that took into account menu innovation, overall concept, and geography. A few notes: Only trucks were considered. If it was a trailer or a cart, if it wasn’t on four wheels and couldn’t move on its own power from parking ticket to parking spot, it wasn’t considered. 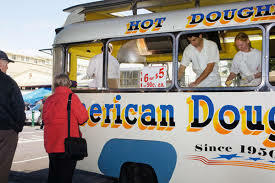 Some cities (especially much-beloved Portland, Ore.) pained us: many of their food “trucks” didn’t make the cut because they weren’t well, trucks. 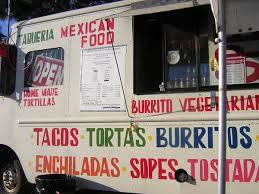 Also, this is a list of food trucks. 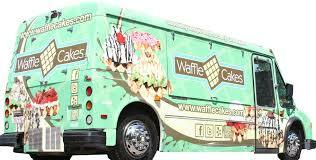 Trucks that just make cupcakes or coffee are cupcake or coffee trucks, not food trucks. 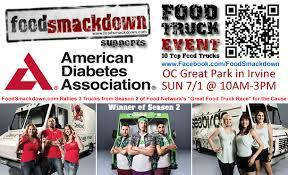 Dessert trucks were also not considered. It’s clear that not only is the national food truck scene still booming, but more and more truck operators are pushing the boundaries of what can be served from a truck, and more big names, like Andrew Zimmern and José Andrés, are throwing their hats into the food truck ring as well. 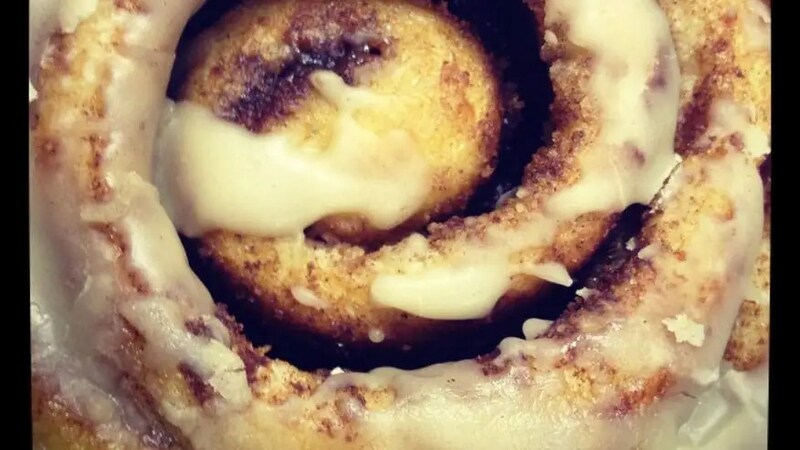 Several of last year’s highest-ranking trucks, like D.C.’s Fojol Bros., San Francisco’s Nom Nom Truck and Spencer on the Go, Los Angeles’ Ludo Truck, and New York’s Big Gay Ice Cream Truck, have all ceased operation. For all intents and purposes these were highly successful trucks, but it seems as if for many food truck operators, running a food truck is a means to an end, not an end in itself. The Fojol Bros. are working on a new line of products, Spencer on the Go’s owners decided to focus full-time on their restaurant, The Ludo Truck’s Ludo Lefebvre has become one of Los Angeles’ most in-demand chefs, and Big Gay Ice Cream now operates two brick-and-mortar locations, with two more in the works. The takeaway here isn’t that the food truck trend is dying down, it’s that running a food truck can be a stepping stone to bigger and (some say) better things. 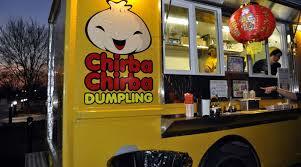 So from a ramen truck in Oklahoma City to a fry bread truck in Phoenix, from a pierogi truck in Chicago to a lobster truck in Los Angeles, read on for our list of the Best Food Trucks in America for 2014. 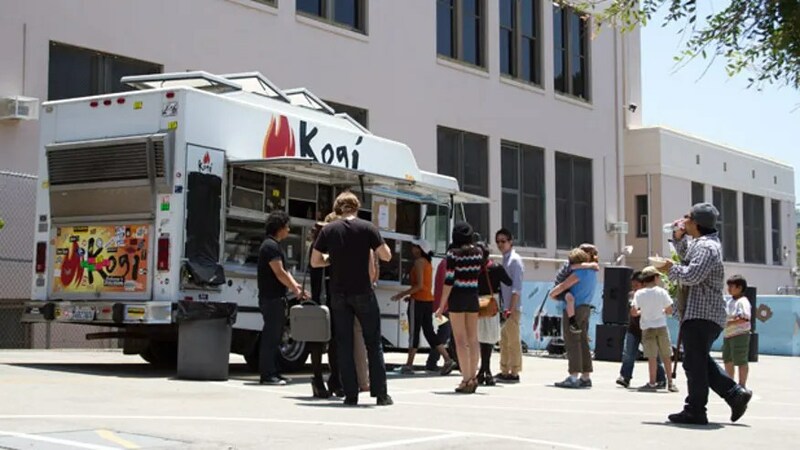 “Thanksgiving of 2008, Kogi BBQ had first rolled out as the little Korean-taco-truck-that-could, peddling $2 Korean barbecue tacos on the streets of LA. 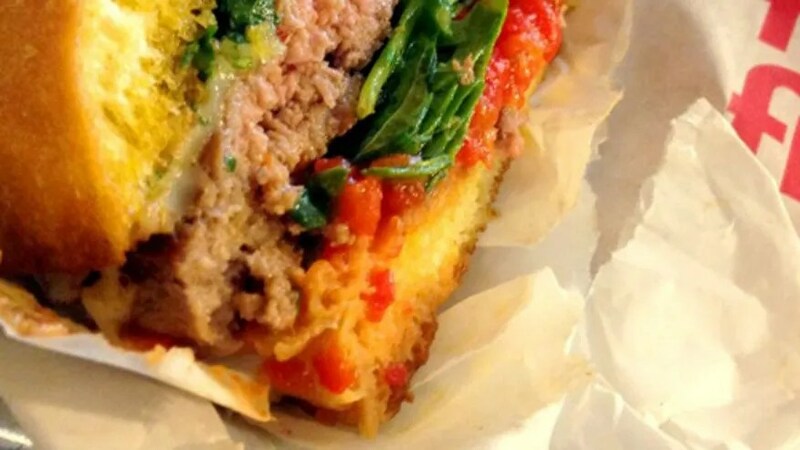 Little did they know that within… months, they would become an icon of LA street food. Kogi set off a flavor bomb that would shake up the foundations of the industry so that street food would never be looked at the same way.” That’s from Kogi’s site. What’s the saying? It ain’t bragging if it’s true? 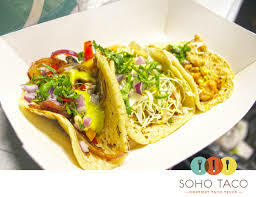 So it goes with chef Roy Choi’s truck, which you can credit (or at this point, blame) for the proliferation of Asian tacos across the U.S. Korilla, TaKorean, Jogasaki, these guys, among many others, should be paying Choi royalties. After appearing at number one on our 101 Best Food Trucks list in 2012 and at number two last year, the truck continues to be an icon in the food truck world. Serving delicious Asian tacos at an incredibly reasonable price, this truck has made headlines and was named the fifth-best restaurant by Jonathan Gold in 2013. 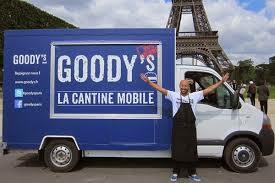 The company now has four trucks (one specifically for catering events). 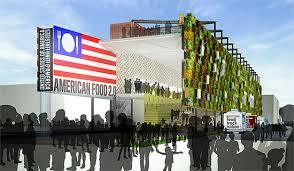 The group has also opened two restaurants, Alibi Room and Chego. With more than 128,000 Twitter followers, it is clear that this truck as reached celebrity status. “Has a 1991 Grumman / Chevy P30 become a Buddha?” asks The Cinnamon Snail’s website. 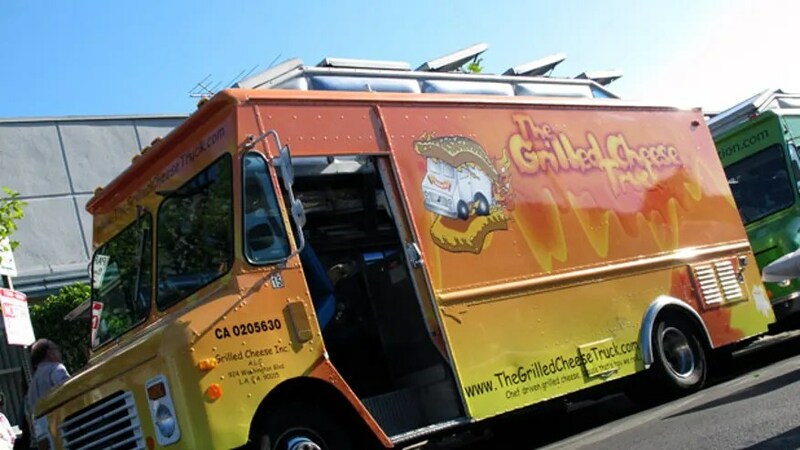 No, you don’t have to prepare to get into chaturanga, but this is a full-on vegan and organic food truck — right down to the grill, which, when the truck was gutted, was replaced with “a brand-new commercial grill which had never touched animal flesh.” So what food inspires centeredness and bliss? What kind of menu serves “food to help you transform into a being of pure light who can serve all living creatures simultaneously and eternally”? Well, a seasonal one to start. But the truck, a longtime dream of Adam Sobel (who previously ran a vegan catering service in New Jersey), has a menu that features breakfast, raw food, sandwiches, and pastries. There are burritos with scrambled tofu and refried beans, blue corn or fresh plum pancakes with pine nut butter and chamomile blood orange syrup, and sandwiches featuring seitan burgers, tempeh, and grilled tofu. Despite being vegan, this truck clearly caters to a pretty universal crowd, which explains it winning the 2012 Vendy Award and Mobile Cuisine magazine’s “America’s Favorite Vegetarian Food Truck,” making New York Post’s top trends of 2012, earning first place on the Best of Yelp NYC Restaurant list of 2012, in addition to coming in eighth place on last year’s 101 Best Food Trucks list. 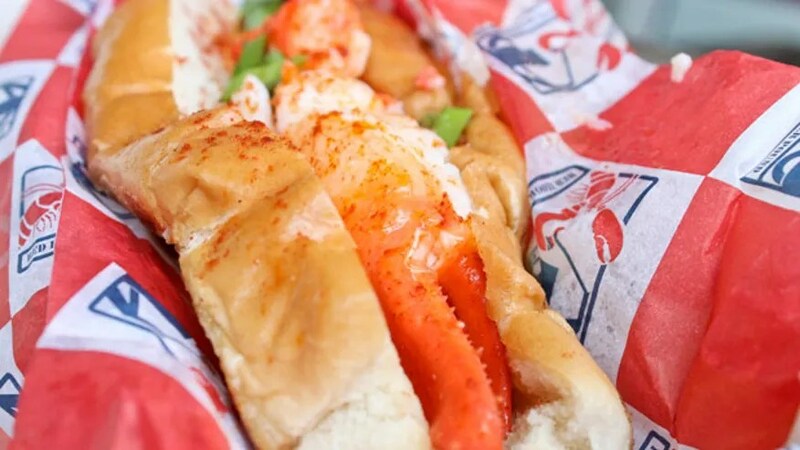 What started at Ralph Gorham’s and Susan Povich’s kitchen table (yes that Povich — she’s the daughter of former A Current Affair host and daytime TV star Maury Povich), has turned into a hugely successful multi-city lobster roll truck. 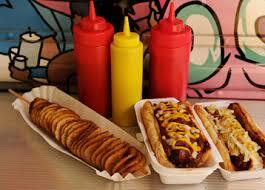 The truck, “Big Red,” opened in 2010 in New York City, bringing “Maine-style” lobster rolls to the masses. 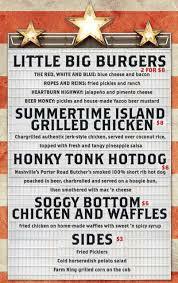 The Red Hook Lobster Truck has a variety of seafood indulgences to offer. There are shrimp rolls, a lobster BLT, lobster bisque, and New England and shrimp and corn chowder, but let’s face it, it’s about the lobster roll: lobster, served cold with celery, spices, a touch of homemade mayonnaise and on a J.J. Nissen split-top bun (or Connecticut-style, warm and buttered). Save for Pearl Oyster Bar’s version, many folks (including Time Out New York, Zagat, and us) agree that it’s one of the best lobster rolls in New York; it appeared in the top spot in last year’s list of the 101 Best Food Trucks in America. The team recently opened a shop in Montauk, N.Y., with partner Sweet’tauk Lemonade. In addition to their new ventures, the truck is still driving around New York. The lunch move? The Hookup: a lobster roll with Cape Cod chips and a choice of Maine Root Sodas (root beer, ginger brew, mandarin orange, blueberry, sarsaparilla, or lemon-lime). In 2007, Thomas DeGeest quit his job at IBM, bought a yellow 1968 Chevy box truck, and parked on a corner of Broadway in SoHo to sell his first Liege waffle. He made $84 that first shift and never looked back. Some six years and several trucks and carts later, DeGeest helms one of the most iconic, lauded (they were at number 13 in last year’s 101 Best Food Trucks list), and beloved trucks in the city, not to mention carts as well as an East Village brick and mortar outpost. 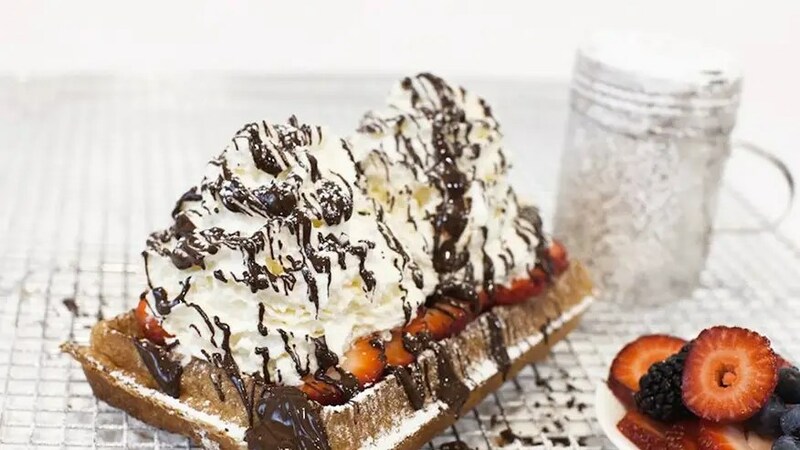 Wafels, whether Brussels (rectangular, doughier, and saltier) or Liege (usually more ovoid, chewy, and sweet), come with your choice of dinges (sides) that include dulce de leche, Belgian chocolate fudge, maple syrup, whipped cream, walnuts, bananas, butter, Nutella, strawberries, and perhaps one of the most underrated toppings of our time, speculoos. Imagine Golden Grahams cereal in dessert sauce form. It’s sweet, it’s salty, it actually originates from a thin, crunchy cookie typically made using butter, sugar, and a combination of spices (cinnamon, nutmeg, cardamom, cloves, and sometimes ginger), and if it’s your first topping, it’s free (for $2 you can load your wafels with every topping in the truck). While a dessert truck, there are definitely some elusive savory options worth investigating (they’re not available at the carts), including the seasonal “pulled pork wafel”: BBQ pulled pork, coleslaw with a coolickle (yes, the Kool Aid pickle), and sweet BBQ sauce. 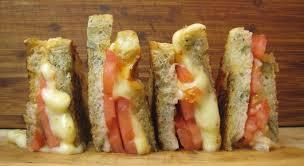 The menu features no fewer than six savory melts (the Plain and Simple melt, the Cheesy Mac and Rib, the Brie melt, the Buffalo Chicken melt, the Three Cheese melt, the Goat Cheese melt) most with a variety of complementing ingredients. But the menu goes beyond classic and clever combinations; there are also additions:15 savory (among them, BBQ smoked pork, mac and cheese, bacon, avocado, and smoked turkey) and six sweet, including Nutella, toasted marshmallows, roasted banana purée, candied pecans, peanut butter, and graham crackers. 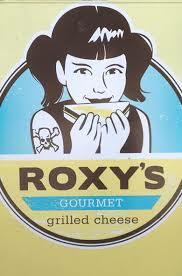 They made it to last year’s 101 Best Food Trucks in America list at number 22. You might not remember this, but San Francisco’s Chairman Bao Bun Truck really stuck in the craw of New York City restaurateur turned food and pop culture commentator Eddie Huang. Apparently, it was a bit much that another business serving Asian food took the word “bao” and deigned use it in the name of their food truck. “I’m 28 years old, I opened the restaurant last year, I did it all with my own money,” Huang told SF Weekly’s BuzzMachine. 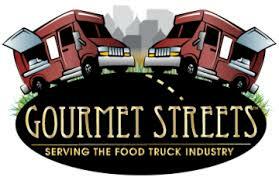 “Street trucks are like independent businesses, many times ethnic. To co-opt something like this reeks of corporations.” Then he started talking about suing them, too. If that’s the case, Roy Choi should basically have sued every food truck across the country. Regardless, the Chairman Bao Bun Truck did change its name to “The Chairman,” and still draws lines for its simple menu of steamed and baked buns, which are known for having featured pork belly with pickled daikon, crispy garlic tofu with miso greens, and red sesame chicken with pickled carrots and cucumber. 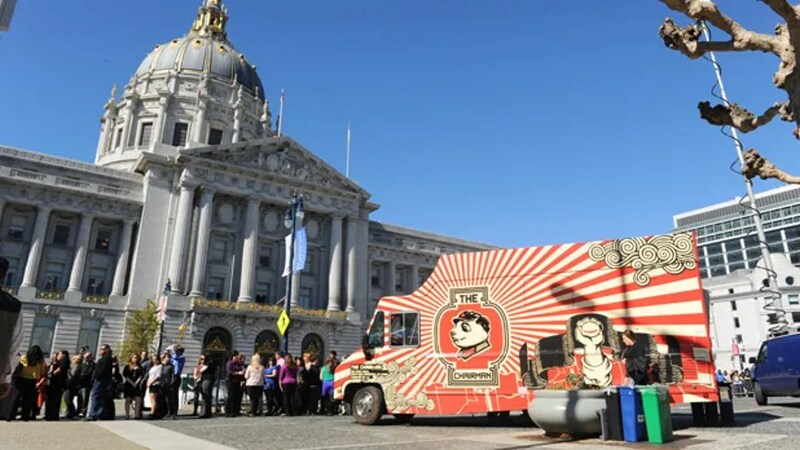 It’s a San Francisco favorite and has been honored as one of San Francisco’s best food trucks by San Francisco Magazine. 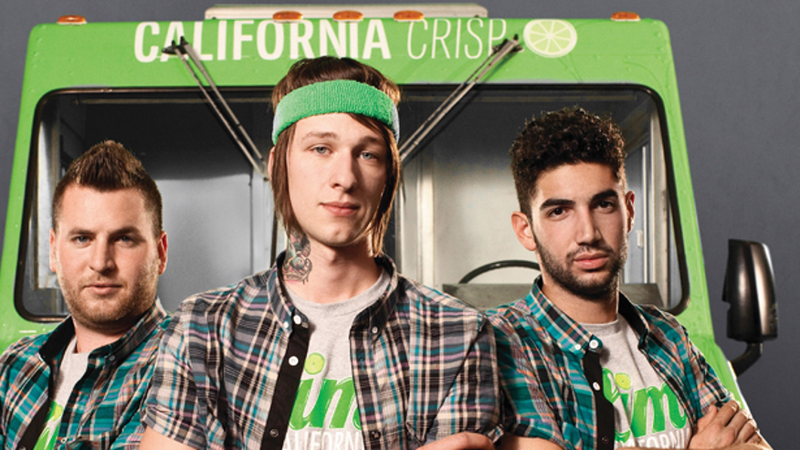 Brash and cocky, the trio behind the Orange County, California-based Lime Truck (owner Daniel Shemtob, with Jason Quinn and Jesse Brockman) wore lime-green headbands in the fast lane through much of season two of Food Network’s The Great Food Truck Road Race, winning the show. The three founders, who launched the truck in June 2010, pride themselves on “local, organic, and sustainably sourced fresh ingredients, paired with hip, inventive recipes.” The truck offers a variety of Mexican-inspired items with a fun twist, from their ahi tuna poke nachos to carnitas fries. To keep up with their growing fan base, the truck now has merchandise available online. What’s sisig? It’s a Filipino dish made from pig’s head and liver, often seasoned with calamansi and chili peppers, and at San Francisco’s Señor Sisig, it’s obviously the star of the show, except that as SF Weekly noted, chef Gil Payumo makes the trucks version with pork shoulder instead of offal, “for a cleaner and meatier sisig.” Payumo launched the truck in 2010 with high-school friend Evan Kidera and the two have been slinging sisig on tacos, fries, nachos, and in burritos ever since. You have basically five options at Señor Sisig, with your choice of protein being pork, chicken, or tofu. There are tacos with onions, lettuce, and cilantro cream sauce. 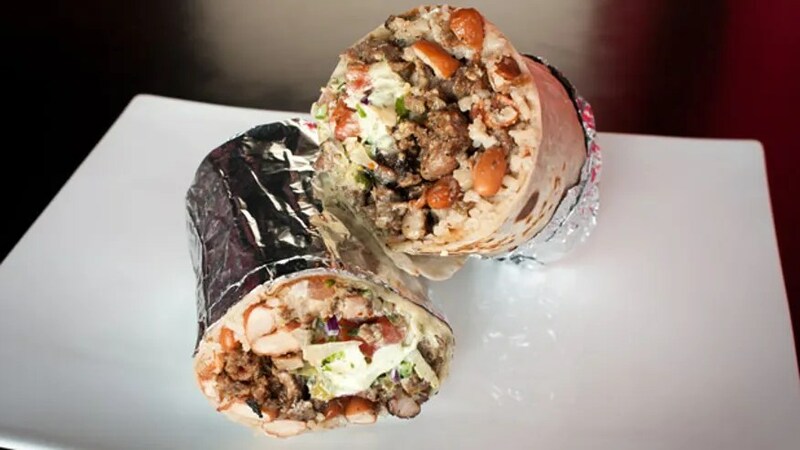 A Señor Sisig burrito takes those toppings minus the onions and adds adobo rice, pinto beans, and salsa, but their signature is probably the California Sisig Burrito featuring fries, shredded cheese, sour cream, guacamole, and salsa. If that’s not out there enough, “Silog it” for $1 more and add an egg to your sisig. Does the lobster roll at the Lobsta Truck (whose inspiration comes from what has to be considered one of the best, if not the best lobster roll in the country) serve as much lobster as its muse Red’s Eats in Wiscasset, Maine? No. But the Lobsta Truck is also serving $12 rolls on the road, all the way across the country in Los Angeles, where Maine lobster doesn’t come quite as easily as out of the traps from the water nearby Red’s, and they certainly have the right idea in mind that it doesn’t get much better than Red’s. Former seafood distributor and truck owner Justin Mi was inspired by the idea to start an LA lobster roll truck after doing a lobster roll tour through Maine (something that can practically inspire you to just move there). He flies in fresh lobsters from Maine and Canada several times a week (and those famous top-loading buns), and offers a simple menu that has been a hit in LA, and now also in San Francisco. There’s little more than the lobster roll (clam chowder, lobster bisque, chips, whoopie pie, and an ice cream sandwich), but they’ve added one West Coast item that’s likely to make many East Coast seafood lovers jealous enough to start thinking how they can get their own version: a fresh Dungeness crab roll. “Steadfast in the belief that the heavy metal and culinary worlds were bound to collide one day in a victorious marriage of massive meat and riffage,” buddies and bandmates chef Ryan Harkins and Matthew Chernus won it all in 2010 with their over-the-top burgers when they beat fellow Los Angeles food truck Nom Nom during Food Network’s The Great Food Truck Race. You’ll be tempted to order the Molly Hatchet (fennel sausage gravy, bacon, and maple syrup), the Dee Snider (peanut butter, jelly, bacon, and Sriracha), and the Witte (pronounced “Wit-e,” a burger topped with cream cheese, deep-fried bacon, beer and Sriracha onions, and malt vinegar aioli), but you haven’t “grilled ‘em all” until you’ve tackled the Behemoth: two grilled cheese “buns” with Cheddar, bacon, beer-soaked onions, pickles, and “Grandma’s Mosh Pit BBQ Sauce” and a side of hand-rolled tater tots. 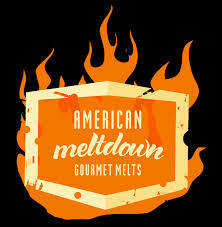 Last year, Grill ‘Em All also opened a stationary location on Alhambra, Calif.’s Main Street. If not entirely unique in its menu (they have some truck favorites including “Napalm Death”), then it certainly is for its mural depicting a wizard “cavorting” with medieval burger trolls. They’ve moved a lot of their operation to the stationary location, but still bring the truck to the streets. Be sure to check their schedule ahead of time. 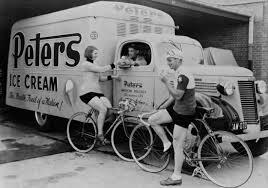 Love these food truck images. You left out the Fukuburger, Las Vegas. The name took me two tries to get it right the first time. Hint: Think Japanese, not Phone Text.